Festival season marks an ebullient change in our otherwise monotonous lives. 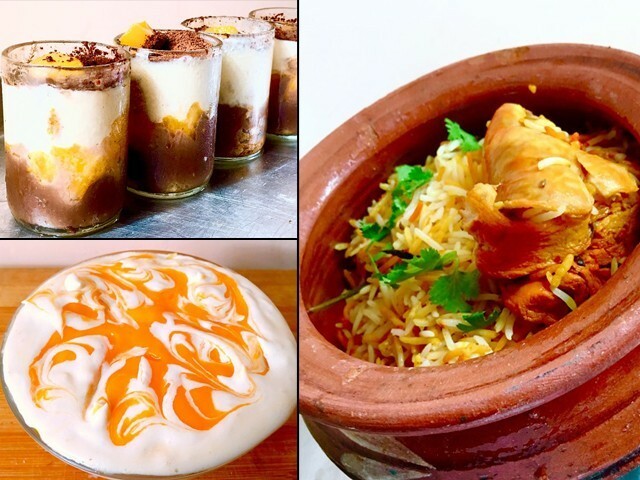 After a month of fasting, Eid is welcomed across the Muslim world all too enthusiastically, wherein food symbolises the various hues of happiness. Families and friends gather to cherish the festivities and amid this chirpy laughter and instances of celebratory spirit, food has a vital part to play. I bring you three such delectable and sumptuous recipes that are sure to win you all praises for your Eid feast! Biryani is not just food but it is synonymous with life in our part of the world. It is the most celebrated delicacy and is, without an iota of doubt, joy personified. However, variant the taste buds of the very many members of a family, biryani brings them all to the table to relish jovial moments together. 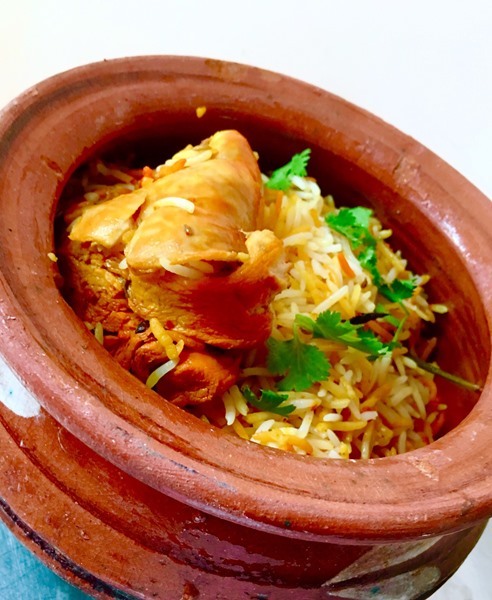 I experimented a bit with the traditional biryani recipe and tweaked it to fuse it with another local favourite, chicken handi, and came up with this finger-licking good and delish chicken handi biryani recipe ever. With Eid round the corner, this recipe is a must try to make unforgettably delectable memories this festive season. 1. Put all the ingredients for garam masala in a coffee grinder and process to a fine consistency. 2. Marinate chicken pieces with all the ingredients mentioned under marination and let it rest for two to three hours. 3. Boil soaked rice along with all the whole spices, salt and chicken powder. Once rice is three quarters cooked, drain the water and keep rice in strainer. 4. To cook chicken, heat some ghee in a clay pot and add the marinated chicken along with all the juices to it. 5. Once the chicken is half tender, add in chopped tomatoes and cook further till chicken is done. 6. Add in dried apricots, chopped coriander, mint and whole green chillies. Simmer on low flame with lid on till ghee surfaces. 7. Spread an even layer of all the par boiled rice over the cooked chicken. Drizzle food colour dissolved in milk, over rice. Sprinkle chopped coriander leaves, mint leaves and fried onions on top. 8. Heat four tablespoons ghee in a frying pan and add two tablespoons of packaged biryani masala in it. Pour the hot ghee over rice. 9. Wrap the clay pot’s lid with aluminium foil. Apply chapati dough around the edges of the pot and press the lid over it, making sure there are no openings left for the steam to escape. 10. Let it simmer on the lowest heat possible for 20 minutes. A quick yet appetisingly attractive dessert to adorn your Eid trolleys and Eid dinners. Mango being the star ingredient goes delectably well, the decadent combination, with chocolate. 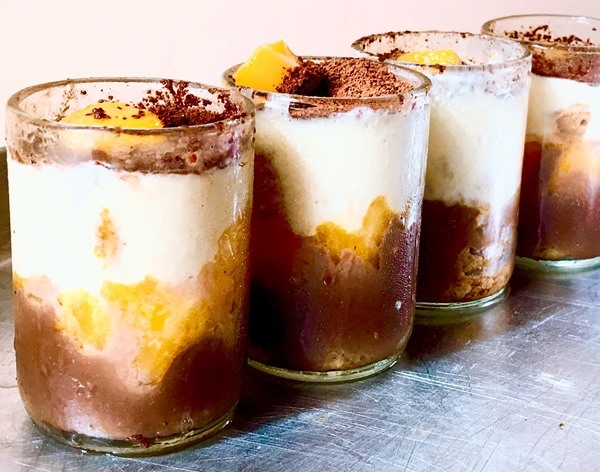 You may assemble the dessert in a big dessert bowl, however, the dessert shots add an oomph to the dessert table. 1. In a bowl, mix together milk and condensed milk. 2. In shot glasses, place some broken pieces of biscuit as the first layer and sprinkle some of the sweetened milk on them. 3. Next, prepare milk chocolate ganache. Heat cream along with a teaspoon of coffee in a saucepan and once bubbles begin to appear around edges, remove from heat. Quickly add in chopped milk chocolate and stir to form a smooth and shiny ganache. 4. Spoon the ganache into the glasses over the layer of biscuits. 5. Now prepare mango purée. Blend together mango cubes, milk and condensed milk till a thick purée is formed. Add a tablespoon of it in each glass over the chocolate layer. 6. Prepare pudding as per instructions on the pack and let it come to room temperature. Whisk in full fat cream and pour some into each glass right over the mango layer. 7. Finally, dust some cocoa powder on top and place a cube of mango to finish off. 8. Place in the fridge to chill well before serving. Mangoes make the most indulgent of desserts but complimenting them with just the right flavours is divinely luxurious. 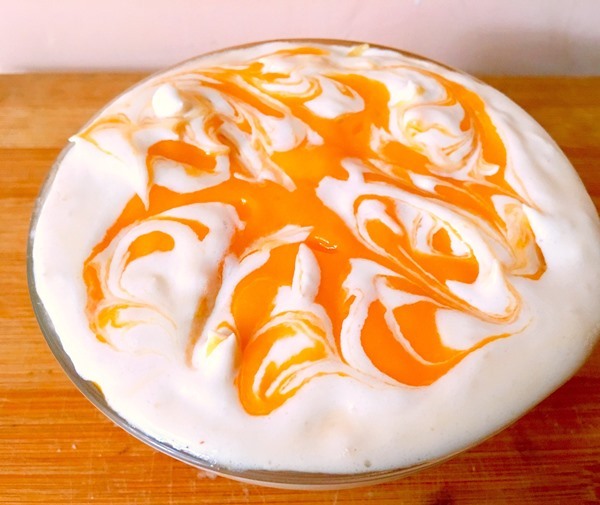 This mango butterscotch trifle is an utterly ambrosial delicacy that has over time become one of the most raved about dessert amongst my friends and family. 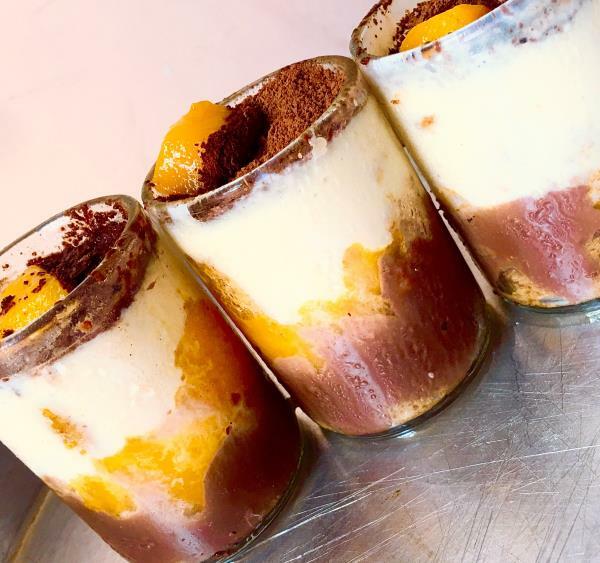 Soft sponge slices drenched in mango milk and layered with butterscotch-flavoured custard and mango purée together translates into a devilishly comforting dessert. 1. Bring milk to a boil and whisk in vanilla custard powder that has been dissolved in some room temperature milk as instructed on the packet. As the custard thickens, stir in sugar and cream. Let cool. 2. For butterscotch sauce, cook together brown sugar, cream and butter. Once it reaches a thick consistency, add in a pinch of salt and few drops of vanilla essence. Let it cool. 3. To assemble, blend together a glass of milk with pulp of one mango and sugar. 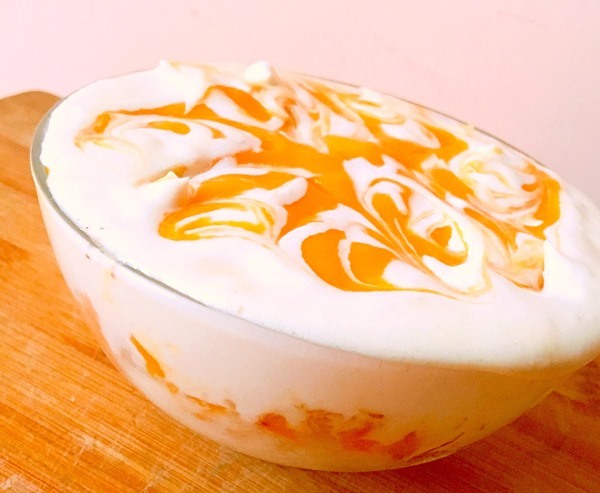 Layer pound cake slices in a trifle bowl and soak them with the prepared mango milk. 4. Next, stir three to four tablespoons of butterscotch sauce in chilled custard. 5. Spread an even layer of mango cubes over the cake slices and pour a thick layer of custard on top of it. 6. Finally, spread a layer of mango purée on top. 7. Drizzle some cream on mango purée and use a toothpick to create swirls. Have a very happy and blessed Eid! Calling all cheese lovers, this one’s for you! Brilliant …..now Arhama Siddiqa, the other food blog writer, has competition. 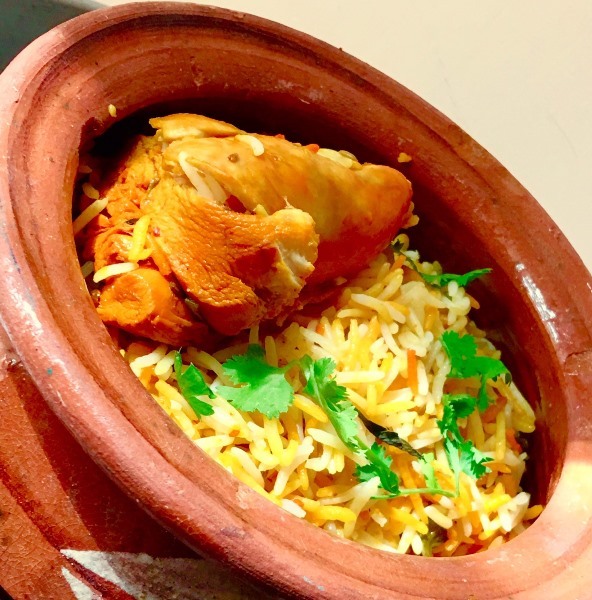 What you have said about Biryani is all true ….but personally I like a mutton biryani over chicken….mutton just has more flavor. I see you are a Karachi person, so I have to ask if you’ve tried the Handi Biryani at Hot-n-Spicy ( they have chicken as well )……good stuff.